Cal-Mil 3616-99 Beverage Dispenser Chalkboard Sign - 5" x 3"
Display your food and drink specials, featured desserts, or exciting upcoming events in vibrant neon colors with this wet erase marker set. 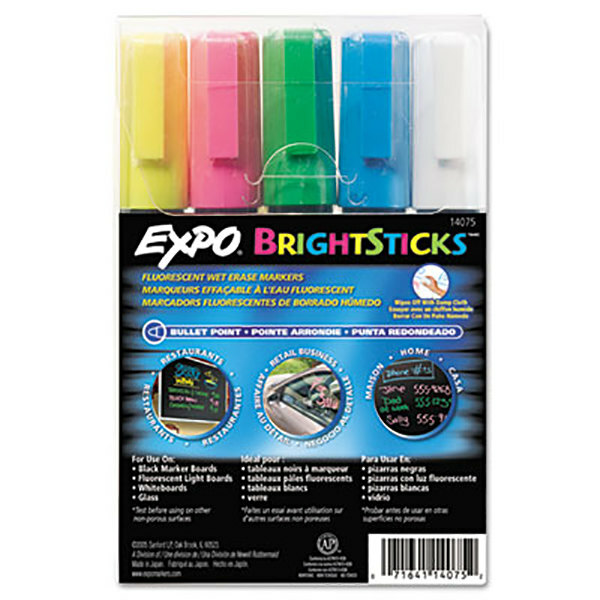 The pack includes one each of the following colors: blue, yellow, pink, white, and green. Perfect for bars, restaurants, coffee shops, buffets, and more, your patrons will love your customized menu boards and look forward to seeing your new specials every time they come in. Compatible write-on menu boards are sold separately. These markers look pretty good on our board. I wish they were a bit brighter or wider but they do get the job done. Also, you really have to shake them a lot to get the right amount of product to dispense properly. Make sure you shake them. That is very important to using these pens. They are very nice but the need to be shaken to use them. These were ok, but not the best we have used. They tend to get a rush if ink coming out making a blob, and I thought they run out fairly quickly considering how few times we used them. Thanks for your review! 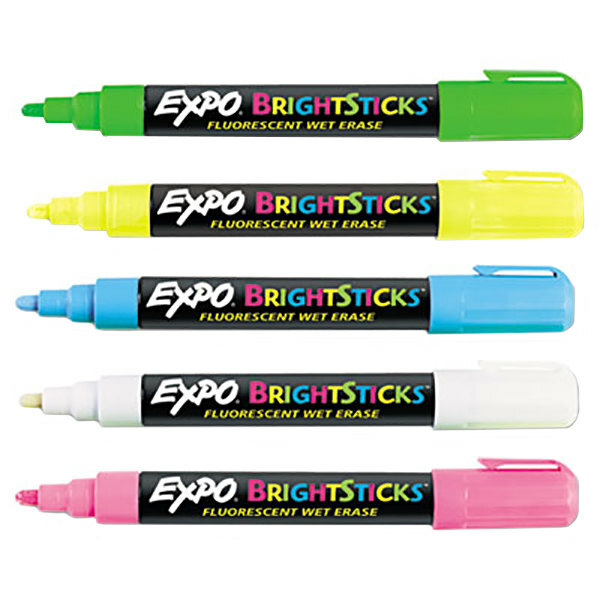 These markers are designed specifically for write-on boards, not chalk boards. You can find appropriate write-on boards in the Companion Items section of this page. If you are looking for chalk, we sell Assorted Colored Chalk, item 116CCS12. These are a must have to make your menu boards pop! We use them on our windows, outdoor and indoor signs, to write on the glass of our pastry case and the outside of our cake domes. The colors are great! these markers are great the colors are so bright and vivid that you can read the menu from afar. colors are as vivid as they appear on caps. These markers write soooo much better on the black dry erase board than ones that you buy in stores. They are more like a paint that easily wipes off.